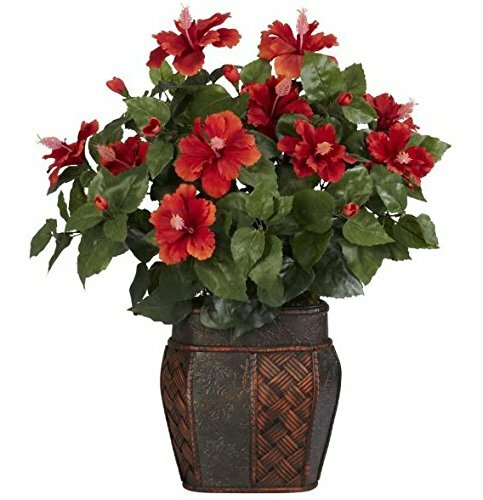 Resplendent - if you need "splashes of color everywhere" in your next floral arrangement, then this hibiscus is an excellent choice. Great choice - the flowers in this setting are prominent and pleasant to view, but the real treat is the little dashes of color scattered throughout the leaves. Gorgeous - it's almost as much fun to find where the color stands out most as it is to simply enjoy them! comes with a beautiful vase.